From rugged, cross-country terrain to intense vertical, the Sunshine Coast offers mountain bikers a slew of options. Aptly named, the mild climate makes it a perfect place to pedal year-round. But the best part? The enthusiastic community that transforms this gorgeous landscape into a playground for all levels of mountain bikers. It’s easy to see why the Sunshine Coast yields incredible mountain biking trails: just look around. On one side, there’s the sparkling, crystal-clear ocean; on the other, thick, deep green forest. 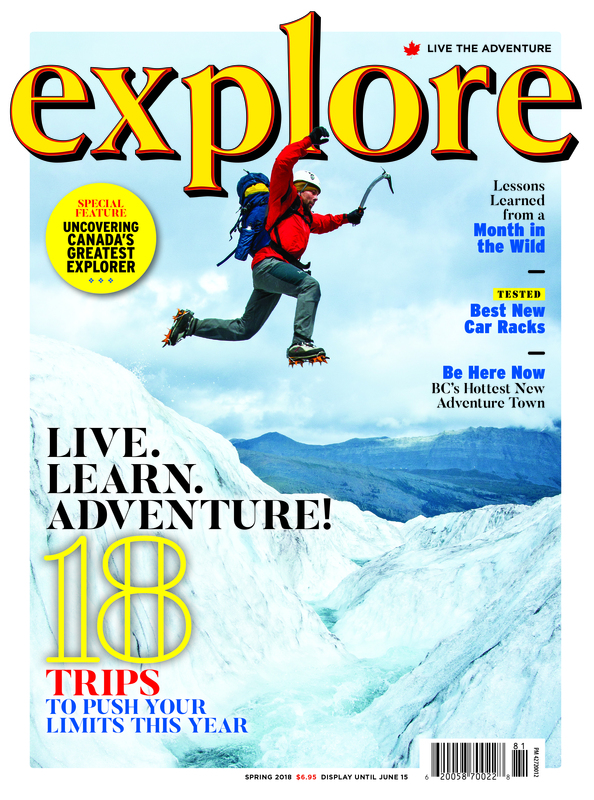 Smooth, flowy trails glide through the stunning scenery. 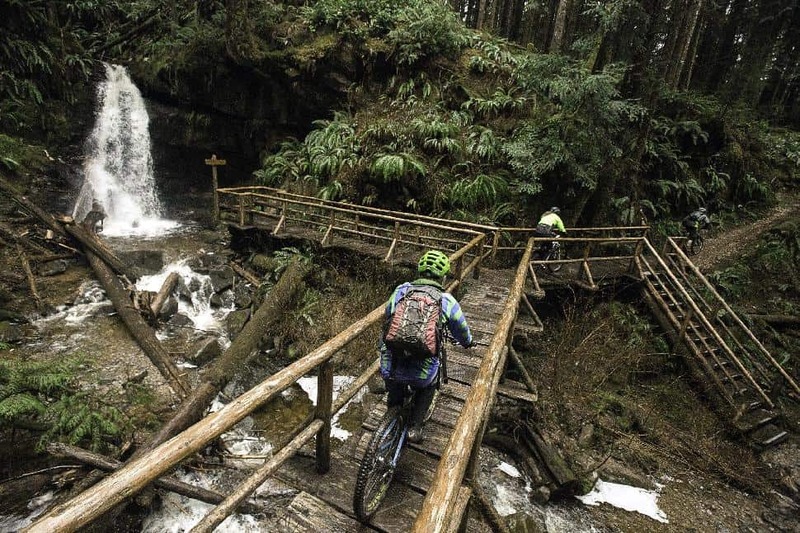 Terrain, accessibility and weather combine to make the Sunshine Coast a premier destination for mountain biking in British Columbia. In the north, hundreds of kilometres of single-track slice through old-growth forest. In Powell River, you’ll find a bike and skate park to show off your tricks. 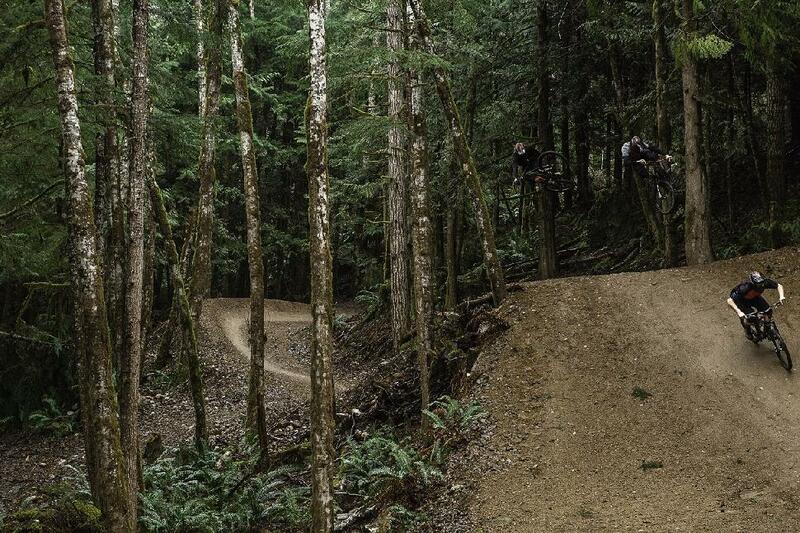 Just 10 kilometres from Sechelt, Coast Gravity Park offers year-round trails built by riders, for riders. And Sprockids Mountain Bike Park in Gibsons was recognized as North America’s first official mountain bike skills park in 1993. Today, it has over 14 kilometres of trails with jumps, teeter-bars and ramps for mini-mountain bikers. Riders travelling to the Sunshine Coast without their wheels aren't shut out from the scene. Bike rentals are available from Off the Edge in Sechelt, Suncoast Cycles and TAWS Cycle & Sports in Powell River, or Spin Cycles in Gibsons. There are new trails to tackle like the Phareline Trail, named in remembrance of a tree faller who lost his life fighting a fire in the area. For those who enjoy travelling uphill, Frogger climbs through a clear-cut with stunning views of the Sechelt Inlet. Killer Squirrel offers flowy downhill single-track. Whatever your desired terrain, the Sunshine Coast has it in abundance. 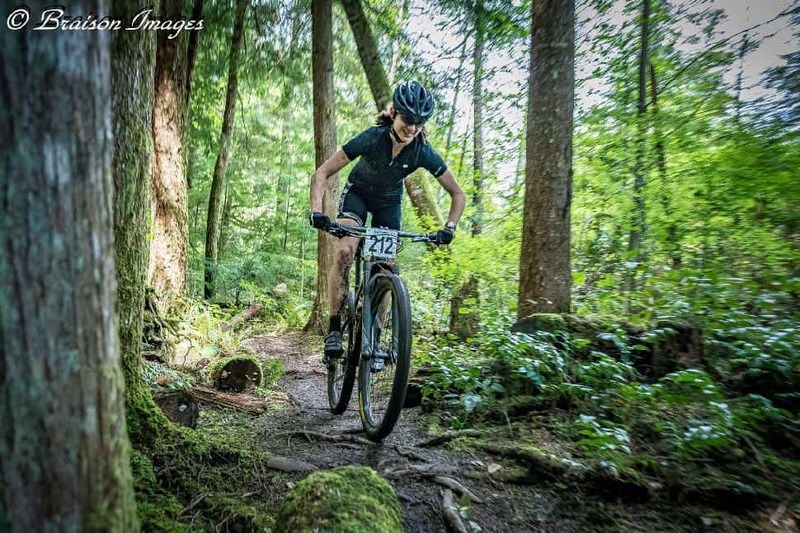 Community clubs like the Sunshine Coast Cycling Club (SCC), Sunshine Coast United Mountain Bikers (SCUMB) and Powell River Cycling Association (PRCA) work together to keep trails maintained and introduce newcomers to the area. But the best way to get to know the Sunshine Coast’s mountain bike scene is through the Coaster 50 Race this spring. The Coaster 50 is a 50-kilometre cross-country race (XCM). Understandably, this distance can be a bit daunting for some riders, so a shorter, 21-kilometre race will run concurrently (XCO). Sanctioned by Cycling BC, these races will draw out elite competitors, as well as weekend warriors. With origins back to 2000, this race is now in its 18th year. 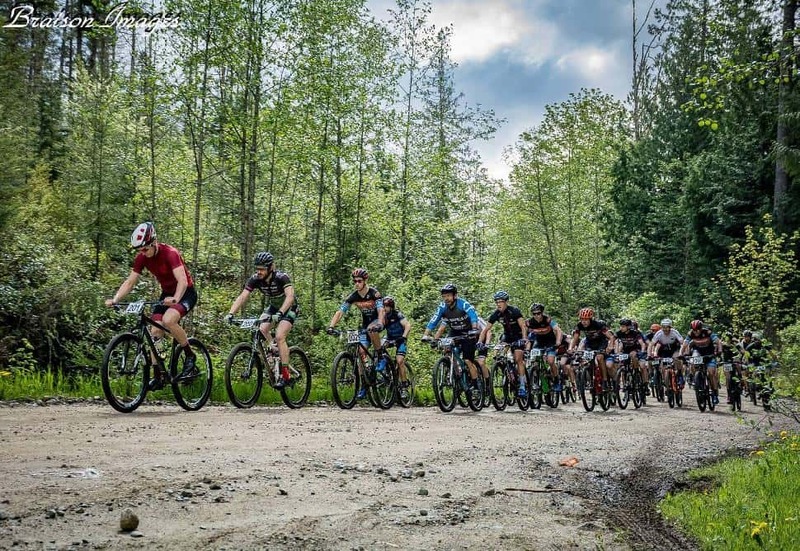 This year's event is expected to attract approximately 300 competitors, breaking down into 20 per cent serious riders and 80 per cent recreational mountain bikers. The course will be marked by April 5th, so curious racers can test the runs beforehand. The race itself is in May, before the worst of the buggy season, and after the snow has dried up from the trails. Top finishers, the single speed class and first to the top of the two-kilometre hill will take home cash prizes totaling $5,000. 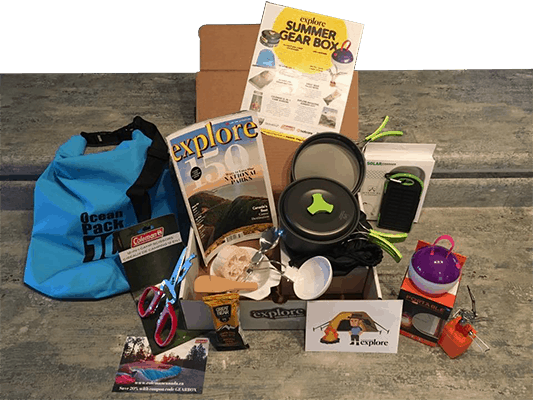 Boréale Biking will be giving away holiday packages to Whitehorse. Plus, there will be a fully loaded logging truck on site; Sunshine Coast Community Forests will hand out prizes to whoever can guess the exact value of the load. Stick around for a post-race BBQ and more prizes from local sponsors. If you love mountain biking, you won’t want to miss this event! getaway to the Sunshine Coast? What better way to see it all than from the saddle?